Not all tales of the Mythos involve a world-shattering threat. Some are mysteries as to why people become someone they weren't previously. Sometimes this answer is more than the questioner can handle. Inspired by the adventure capsule "People Change" from Chaosium's Escape from Innsmouth adventure. Setting: Boston. 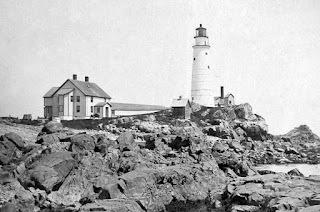 Friday, August 14, 1914. A drizzly cool day. In the American Civil War, Confederate General Lee's Special Order 191 fell into Union hands, providing Union General McClellan with the location of the Army of Northern Virginia. This allowed for Union victory at the Battle of Antietam which provided President Lincoln with the proper conditions to issue the Emancipation Proclamation, making the Civil War a war against slavery. This prevented France and the United Kingdom from recognizing the Confederacy. This is a common point of divergence in alternate history fiction. On its own, the rebelling states did not have a chance of victory if the Union chose to fight until victory. Their only real chances was to either convince the Union that victory was not worth fighting for or to secure foreign assistance. 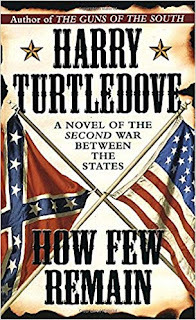 Harry Turtledove posited in this series that if the orders did not fall into Union hands, France and the UK would recognize the Confederacy, forcing an end to the Civil War. This July I started a new job. Beyond the cool work, free food, and awesome headquarters, there's a ton of interesting social groups that meet physically and/or on Slack. One group I'm in is a reading group which has introduced me to fiction that is of interest to me but that I might not have otherwise read. 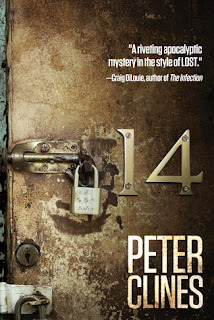 Earlier this year we read Peter Clines' 14. It is a book about a group of people in a very strange Las Angeles apartment building. The rent is very cheap but it's never advertised - people always hear about it via word of mouth. The apartments are weird and unique. One is always very cool - the same constant temperature, no matter what. Another has a kitchen where any light bulb is always extremely dim. Another has a layout where nothing is directly connected to a wall - power outlets are on the floor, kitchen counters are a few inches away from the walls, etc. And is is two stories tall for some reason. 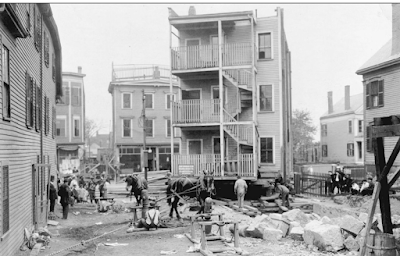 One of the challenges I found in setting a Call of Cthulhu campaign in Boston was in understanding what the city was really like around a century ago. Sometimes I find it easier to do things in a fictional city or in one I've never been in than as opposed to one some 25 miles away from me - a city I go to regularly and which is the cultural center of my area. I've found raiding Boston Globe archives to have been an awesome exercise. Check out the following weather forecast from August 14, 1914. So what's interesting to me? First, as someone who is obsessed with details, it's nice to have. To be honest, if an adventure would work better with different weather, I'd happily use the different weather and get it "wrong". A heatwave instead of the modest temperatures in this forecast wouldn't cause a game to self-destruct. Colin O'Connor: Civil engineer from Dunmore, Ireland. Working on the Dorchester Tunnel.Lola Diaz Azar: Archaeologist hailing from Puerto Rico, born of a Puerto Rican mother and Middle Eastern father.Nathaniel Quincy, MD, Captain, US Army (Ret.) Former army doctor, served in Nicaragua and the Philippines.